of any Magic Cord ornament. Keepsake Ornaments to the Magic Cord for a synchronized sound and light show. *Note: Ornaments shown in video are no longer available. Other Magic Cord Keepsake Ornaments are available, see store for selection. Video is to demonstrate Magic Cord only. 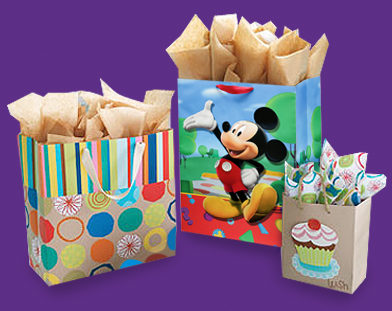 Get the bags you need at your Hallmark Gold Crown store for $1 each with any 3 card purchase***. *Magic cord offer valid October 5-6, 2013 only. Receive a free `Magic Cord’, with the purchase of any `Magic Cord’ Keepsake Ornaments. While supplies last at participating retailers across Canada, excluding Quebec. Not valid on past purchases. See in-store for details. Taxes not included. **Must purchase both Anne of Green Gables Ornaments 1999QXA2016 and1999QXA2301 in the same transaction. Offer valid from October 5-6. 2013. While supplies last at participating retailers across Canada, excluding Quebec. . Retailer has the right to limit quantities. Taxes not included.